Our staff have combined nearly 40 years experience working in DIAC and 20 years working in private practice. On this page you can ask us any question about migration and we will do our best to answer it. 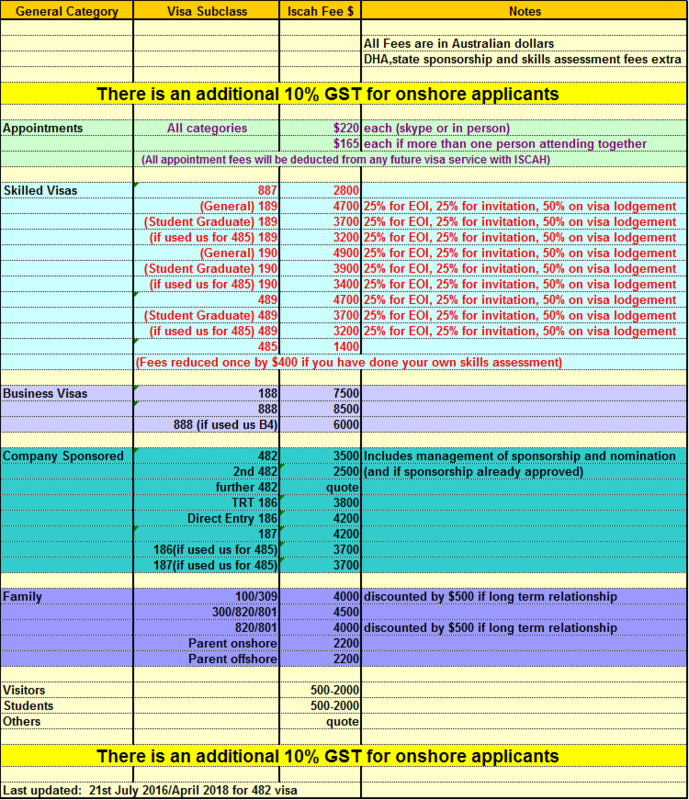 Or you can have a full assessment done of your chances to migrate to Australia. 5. Any formal qualifications you hold, where you received them and what year did you complete them and in what language. 6. Any positions that you have worked in since leaving school. It needs to include your main duties, dates of employment, and whether full or part time. 7. An approximate value of your personal assets. This general advice service is free. If you know of someone else who would like to use Iscah we would be most happy to help them.